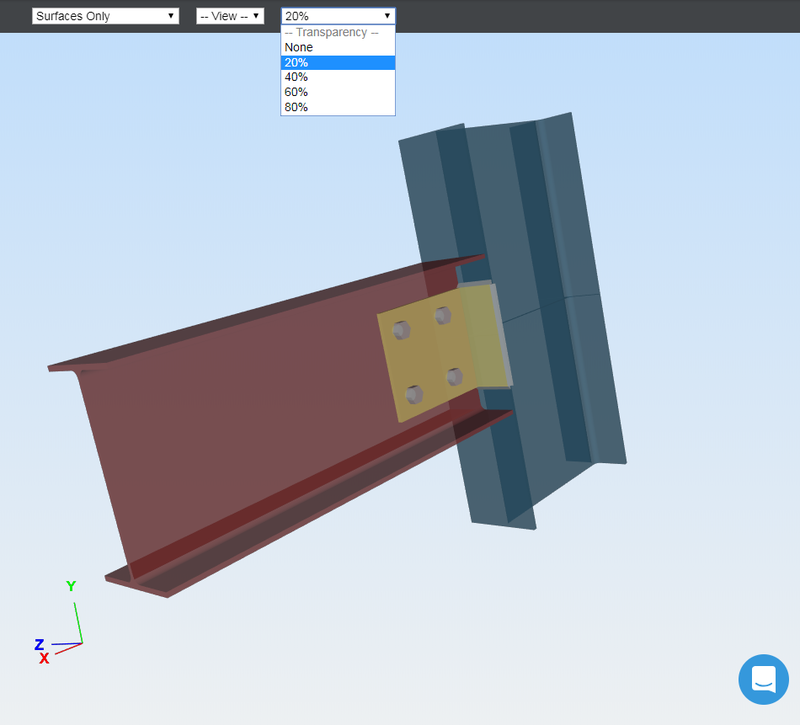 A 3D model of your connection can be generated based on your input parameters. 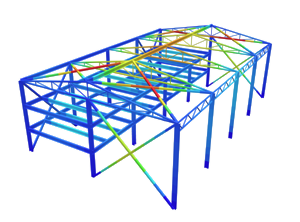 The model that is rendered on screen is a real, 3D CAD model in STP (STEP) file format. It can be downloaded in the results screen, after you have successfully solved your connection. Click the ‘Check Design’ button to initiate the design checks, and when it finishes, you are able to download your 3D model. 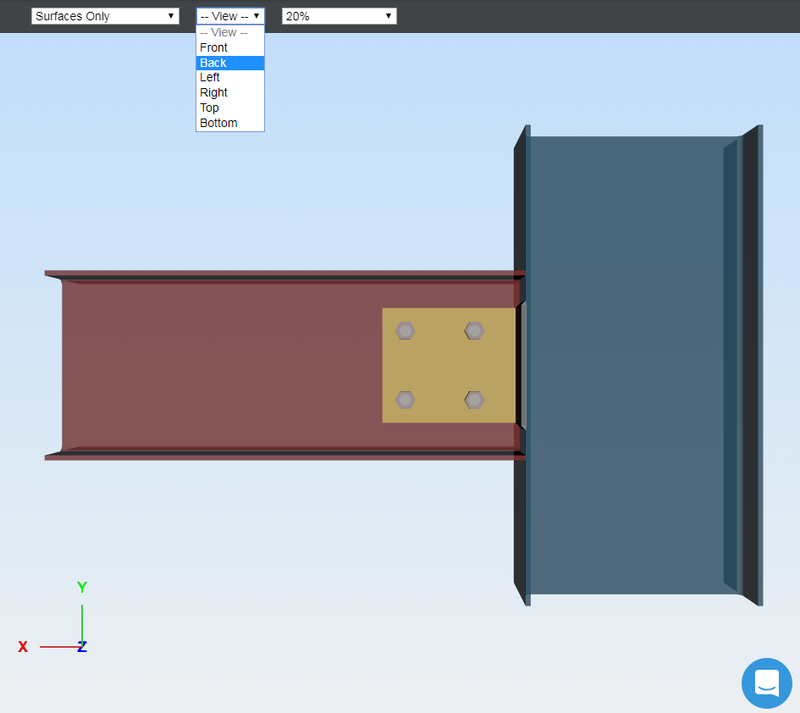 Do this by clicking into the ‘Results’, and click the ‘CAD Model’ button. You can switch the view of your displayed connection with the dropdown. There are options for front, back, left, right, top or bottom. You can edit the transparency of your displayed connection with the dropdown. You can edit the surfaces and wireframe of your displayed connection with the dropdown. Choose between (from left to right) ‘Surfaces and Wireframe’, ‘Surfaces Only’, ‘Wireframe Only’.